What do I say? 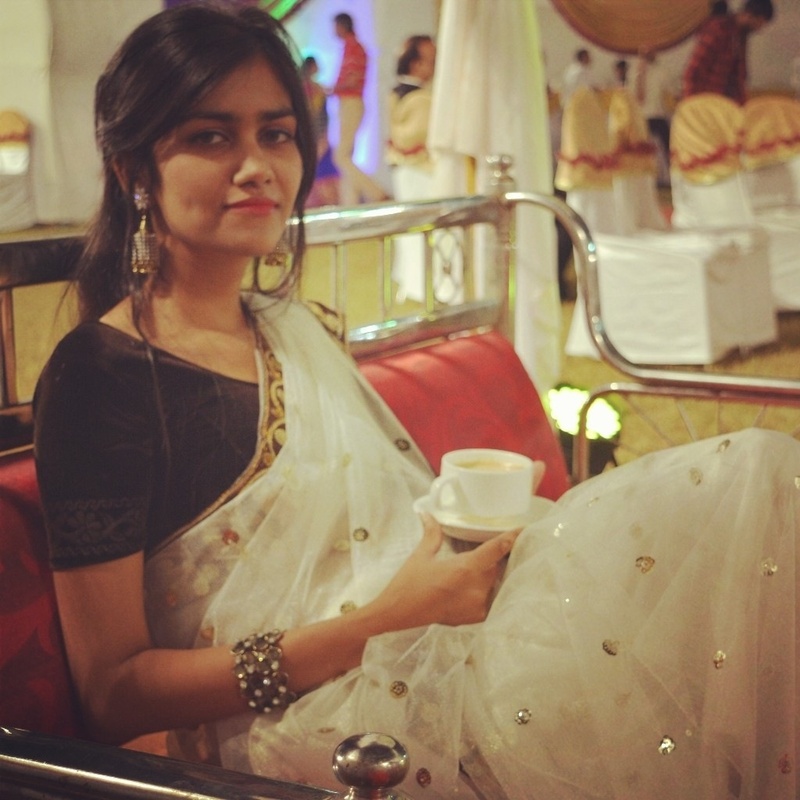 I had been out for a friend’s wedding in Mumbai. I am at an all time low since my return. Reasons? Galore. There is this sense of detachment. Of nothingness. Of futility. I am low because the whole marriage affair didn’t entice me much. I mean, of course I was happy for my friend and I smiled all along, but I even got the feeling simultaneously that I won’t fit in the bill. I wouldn’t want to do these things. I might have at one point in the past, but I am so aversive to it right now. Cannot fathom the whys and whats of it. Why am I sad but? Lack of sense of purpose I suppose. If not marriage at least I should be willing to do something of my life right? So lost. So so lost. Don’t want lectures. Don’t want communication. Don’t want nothing. Let me rue for a few days more. Till then here is my pretty picture from the wedding..all things girly..(when have my doldrums ever stopped me from dressing up..). Adios! #can be classified under my stupid quest for happiness.